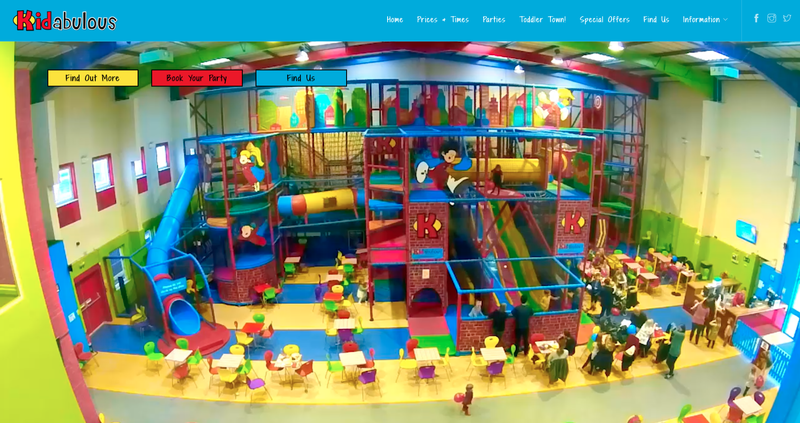 Kidabulous is a huge soft-play centre aimed at children aged 12 and under and located in Sunbury-on-Thames. 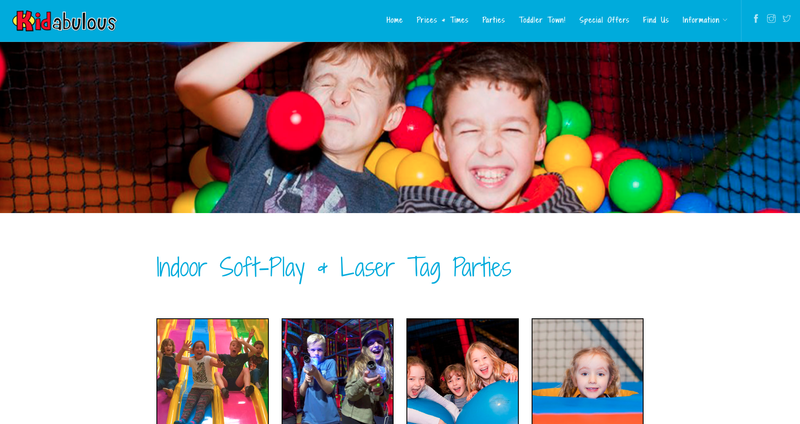 This popular family visitor attraction came to us looking to build on their existing brand identity and take a more structured approach to their online marketing. 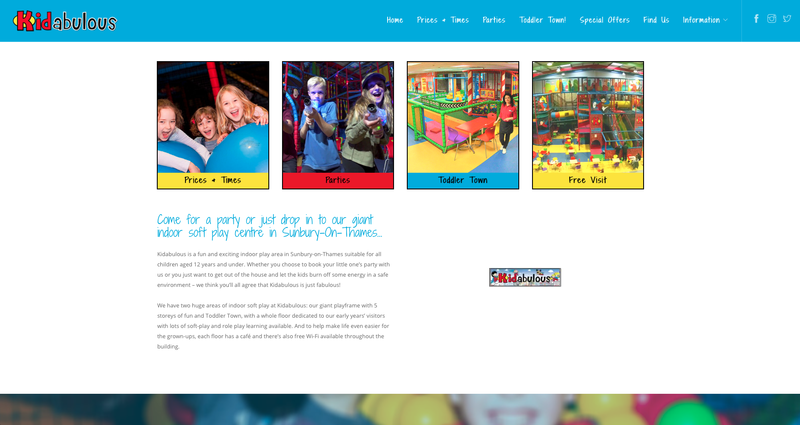 First on our to-do list was to update their website, creating cleaner, bolder visuals to appeal to their target market. 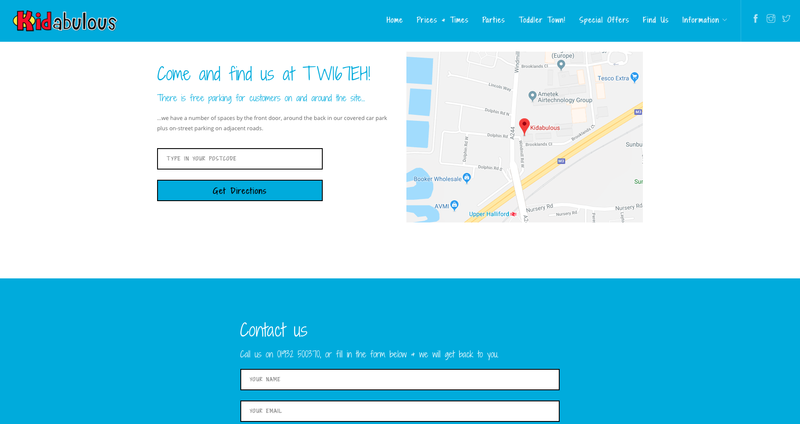 We also updated the written content with keyword-rich copy and performed an audit to ensure that website was optimised for search engines. 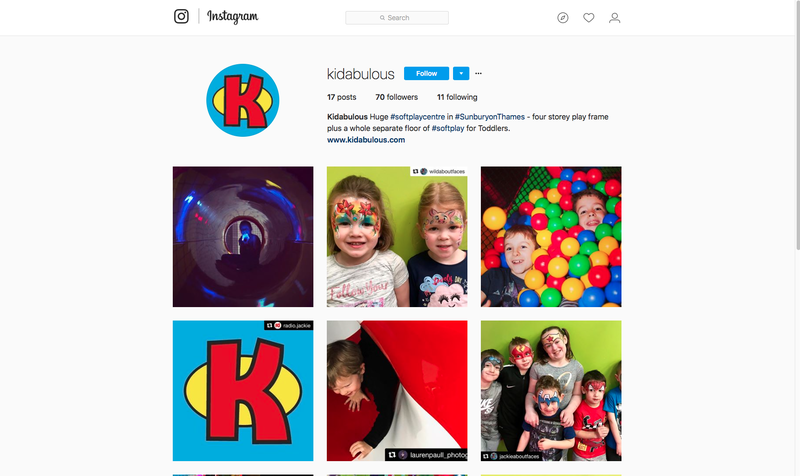 The refreshed branding was implemented across all social media channels, ready for us to begin to spread the word about Kidabulous on Facebook, Twitter and Instagram. 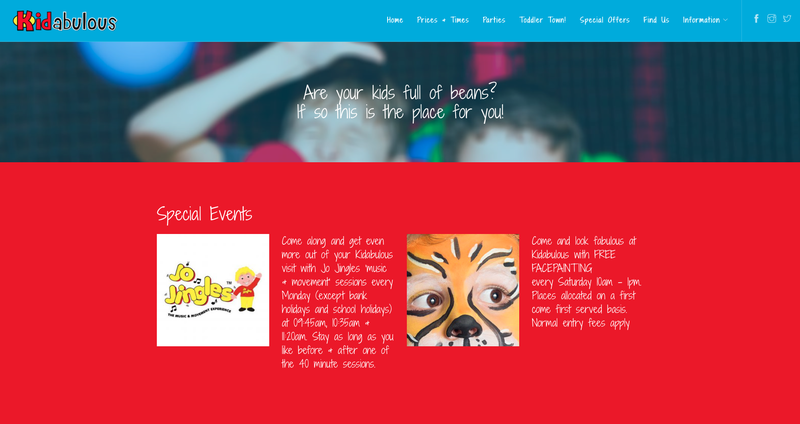 Our online marketing work with Kidabulous is on-going. 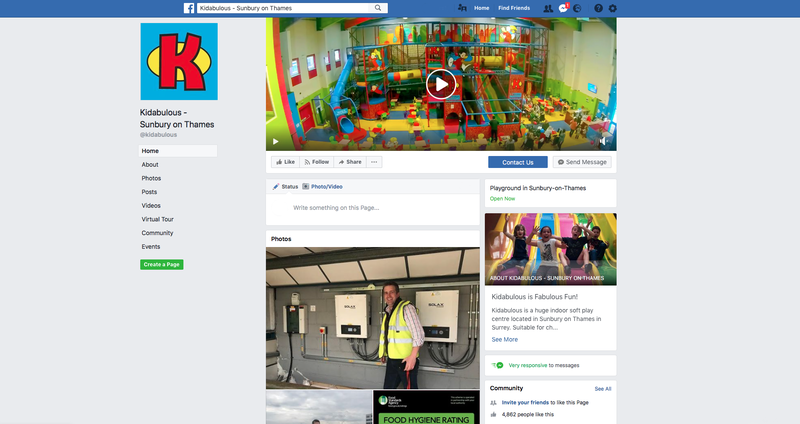 We create regular paid advertising campaigns for Facebook and Instagram and post updates regularly to the company’s large following across all their social media channels. 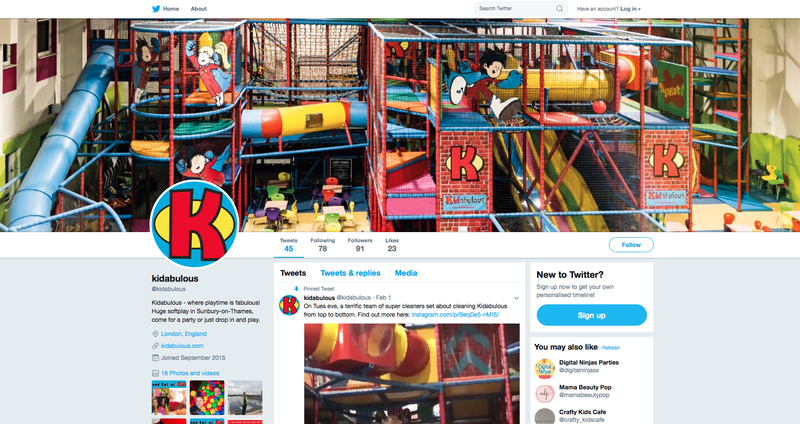 We also manage other platforms such as TripAdvisor and their Google business listing to ensure that the Kidabulous audience continues to grow and is kept up to date with news, information and offers from this fabulous Surrey-based business.